The Fisher Executive MBA program is structured to provide minimal disruption to your busy work schedule and personal life. On-campus sessions typically meet three consecutive days a month (Thursday/Friday/Saturday) over a 16-month period, January through April of the second year, with a mandatory orientation in December prior to classes starting. • Gain a comprehensive business perspective on current business management issues through team-taught, interdisciplinary courses. • Learn to think broadly and strategically about your firm through a rigorous study of the fundamentals of business. • Work on projects that directly relate to your current business problems. • Participate in a global integration course with a required international experience. There are currently 32 students enrolled in the OSU Executive MBA program, that are, on average, 38-years old. Roughly 84 percent of the class is male, while 16 percent is female. About 22 percent of the students in the program are international. The average GPA of the class is 3.05. Enrolled students typically join with 15 years of previous professional work experience. 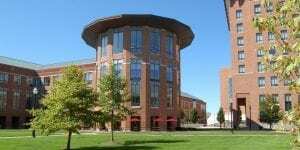 The current tuition of the OSU EMBA program is $115,000. No scholarships are available at this time. Applicants must include an online application form, resume, all official transcripts, letter of recommendation, employer letter of support, essay, and be subject to an admission interview. GMAT waivers are available for the program. A $160 fee is required with an application, but it can be waived for those who attend the school’s Preview Day.